Hot off the press, another PR just got merged into the Xamarin.Forms repository. 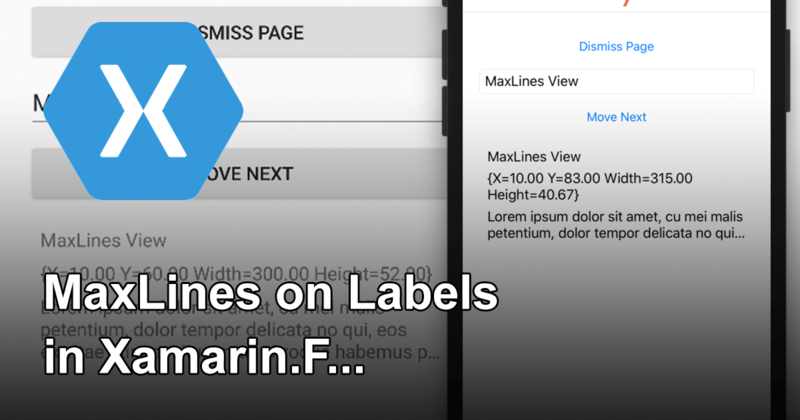 This time, adding a new feature on a Label, the ability to specify MaxLines. 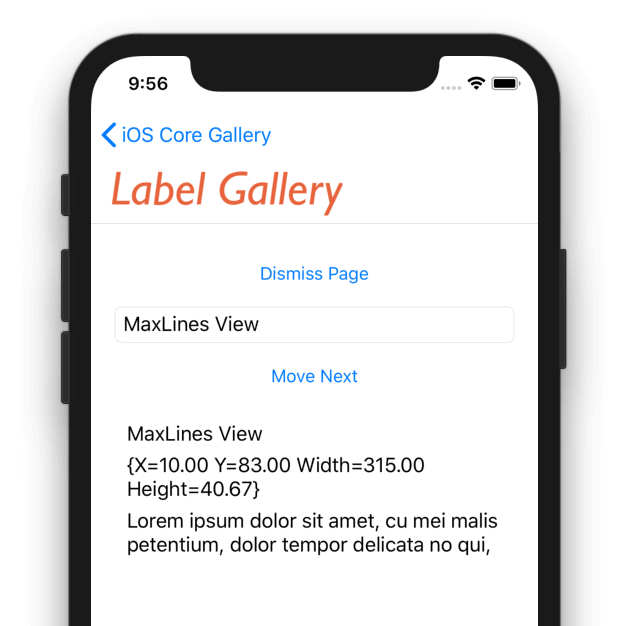 This will be available in a near-future Xamarin.Forms version on iOS, Mac OS, Android, and UWP. Edit 21 Sep. 2018: This functionality is now available as part of Xamarin.Forms 3.3-pre1. Have a look at the release notes. With the new property MaxLines, you can specify how much lines of text a Label should show at the most. 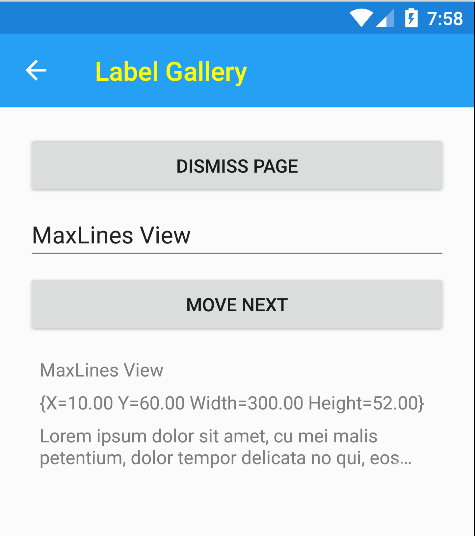 Until now, a Label in Xamarin.Forms either showed all lines or, with the relatively new LineBreakMode property, was truncated at the end of one line. Now, with MaxLines, you can do both! You can see how the long text is now spread over two lines. Any longer text will still be in the property, but not shown on the screen. When used in conjunction with LineBreakMode you can now create a Label that is neatly cut off at the end with some ellipsis. In the above screenshot you can see the same functionality on Android and see that we get the ellipsis at the end when using it with LineBreakMode.TailTruncation. That is all there is to it! Have a look at some other features I have implemented into Xamarin.Forms framework and of course, consider contributing yourself, it is pretty awesome! This feature just got merged at the time of writing, so don’t expect it to be in there this minute. But I’m sure it will be part of a upcoming release. In the meantime you could check out the pre-release packages or nightly builds. Also, keep your eye on the release notes to see this pop up. If you have anything you’d like to discuss regarding contributing or this specific feature, please don’t hesitate to reach out! Excellent. Where do you find the time??? Part of the feature! 😛 No, you’re right. Let me fix that. Thanks!